Mount Lady MacDonald in the rocky wilds of Alberta, Canada is one killer hike, well not the entire hike exactly but at least the last 50 meters. Most of the hikers who have tackled this peak choose to turn back at the sight of the final stretch and for good reason. 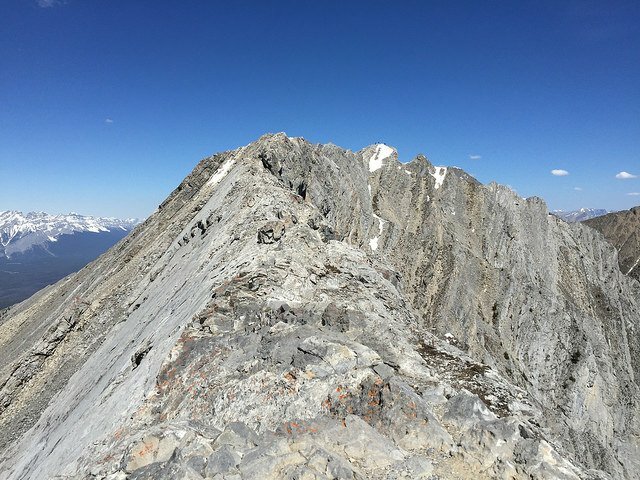 The ridge is less than a foot wide, its precipice comprised of loose rock and falling off from either side there’s a near vertical drop of more than 8,000 feet. For a view of exactly what it’s like, two Canadian brothers carried a selfie stick on their recent ascent of Mount Lady MacDonald and shared the video with the world. Watch as these dare-devils conquer this nail-biting trek.